From the time you and I were around ten years old, up until this moment, our life has been about decisions. All our learning, our values, our capabilities and the value we bring to our jobs – is defined by the decisions that we make. Research shows that the average person makes over 35,000 decisions in just one day. Some of the decisions are small, and some are big. Many of these decisions will be made subconsciously but some will be deliberate conscious decisions. Since there are so many decisions to make, not acting is also a decision- which usually does not end well- because we simply delay the inevitable. Ignoring a situation does not make it go away but it leaves us with very few options at a later time. Seafarers too make several high-stakes decisions every day. Plus, they do this in an environment that is constantly changing and unpredictable, thousands of miles away from land. With new technology and faster turnaround of ships, seafarers have not only to be fast and furious but also accurate in making decisions. Of course, we know that not all the decisions made on the high seas end well. there are on average 100 total losses of ships and over 1000 fatalities each year- most of them attributed to human error. This article looks at ways in which we can enable and empower our seafarers, our colleagues and perhaps even ourselves to make better decisions. It’s easy to get overwhelmed with information required to make a decision, or wait for further information and this can sometimes lead to paralysis by analysis. Both paralysis and analysis are Greek words, and the solution- is also a Greek word. Heuristics or evretika is a Greek word made famous when Archimedes ran naked around the streets of Syracuse shouting ‘Eureka, Eureka’ or ‘I got it’, ‘I got it’, after he had discovered why objects sink or float. Even today, we explain the flotation of ships through Archimedes principles of buoyancy. Heuristics today means the distilling of the issue and finding the solution in its most simple and elegant form- which comes about from experience and deep insight. Heuristics are also referred to as rules-of-thumb. Heuristics has been widely researched and recommended in various fields such as aviation and medicine. There is certainly a wide scope for its application in the maritime industry. Seafarers have to make several high-stakes decisions every day. Not all decisions end well. Do not anchor in more than Beaufort Force 6 or above. Do not anchor in depths of over 80 metres. Do not let go the anchor from the brakes in depths of over 25 metres. There are several instances of ships which have either dragged or lost their anchors in heavy weather and then grounded on the lee shore with dramatic consequences. There have also been cases where anchor with chain was completely lost after letting go from brake in deep waters. Good heuristics are not just random numbers but based on science and observation. For example, the IACS rules contain various formulae and statements to specify the operational capabilities of anchors. However, all this information is not readily accessible to navigators on the dark wheelhouse of a vessel at 3’o clock in the morning in rough seas. For decision-making, it’s much easier to remember a rule of thumb which says ‘Don’t anchor in Beaufort Force 6 or above’. Alter course/ speed when at 5 nautical mile range/ 15 minute TCPA. Aim for final passing distance as 2 miles in open sea/ 1 mile in coastal waters / 0.5 nm in traffic separation scheme but with escalated watch level. It’s also quite important to have heuristics for passage planning. Heavy weather is the number one reason for all total losses at sea, for example, the El Faro, the and the Green Lily. 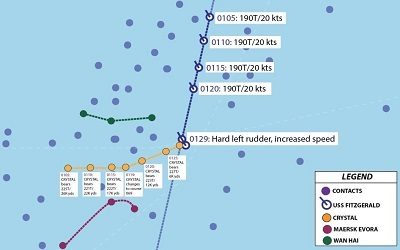 Heuristics such as ‘do not enter in wave-heights more than 7 metres’, or ‘do not manoeuvre in ports (unassisted) with wind speeds exceeding 25 knots’, could help mariners make rapid decisions, or at least consult with their offices when the operating environment is outside the normal envelope. You can have heuristics in the engine room as well - when the oil mist detector sounds, stop the engine. There have been cases where the Chief Engineers have rather opted to change the circuit board, or clean the lenses of the oil mist detector. Surely enough, a crankcase explosion followed, disabling the ship at sea. Decision making is an important part of our daily activity, both ashore and on the high seas. It’s not always easy as one must often choose between a good option and a better one and with incomplete information. But at the same time, 80% of these decisions are usually routine, or foreseeable and we can plan for them. This is where heuristics help. Figure out with your colleagues, the various rules of thumbs you can use for your daily operations. 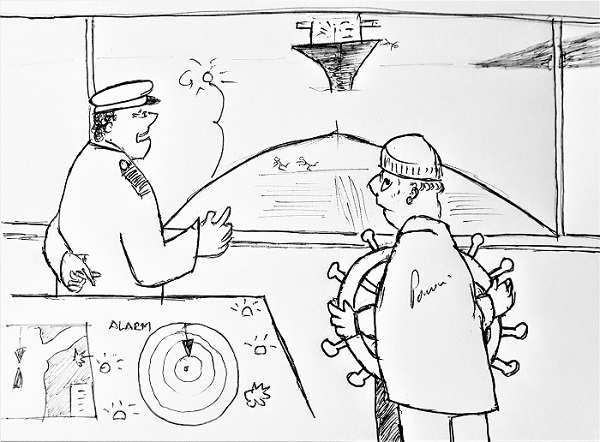 Debate them and later formalize the heuristics within your organization- both on board and ashore. Build a heuristics inventory. Enjoy the eureka moments along the way. "There’s a fly in my soup, Captain". The Chief Engineer said, visibly upset. "And I blame it on you" continued the Chief Engineer. Everyone in the dining room stopped to look over where the Chief Engineer and Captain were seated. Some even looked back into their own soup to check for flies. Not me. I was a young Cadet, only few months into my career and this was the first major conflict I had seen on the ship which otherwise was about giving orders and following them- no questions asked. The Captain squinted his eyes in confusion "Come again?" "I know you told the Cook to put a fly in my soup" the Chief Engineer’s voice was raised and agitated. Long story short, some very unpleasant words were exchanged and it ended in everyone finishing their dinner early. The Chief Engineer was replaced in the next port. Leading up to the ‘fly in the soup’ incident were small warning signs which made sense when I looked back. It started with arguments about the ship’s RPM or the fuel figures, and at times the engine maintenance. Both the Captain and the Chief Engineer had been complaining about each other in their absence. Meetings had become a ‘blame game’ setting. 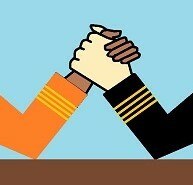 Eventually things came to a ‘either him or me’ standpoint between the Captain and the Chief Engineer. As I felt then, and as I feel about it now- it was all wrong. There are more such examples- from physical assault on board (fishing vessel Captain Billy Haver), to mutinies (HMS Bounty), these otherwise capable professionals let small conflicts get out of hand. Years later, I was in a similar dining room for the daily-repairs meeting at a Chinese dockyard. This time I was in command of the ship and was concerned about getting the ship back on schedule. Just then, the Fourth Engineer came into the meeting with a worried look. He informed us that a weak spot had been found on the fuel tank boundary when the steel around the tank was being sand-blasted. The Superintendent, the Chief Engineer and I checked out the weak spot for ourselves. Now we found ourselves in a dilemma; we could go ahead with the repairs, and it would cost us three extra days; or, we could leave it unattended, and risk the weak spot springing a leak during the voyage. We got the technical, operations and the commercial team in the office on a conference call, right there in the dining room. 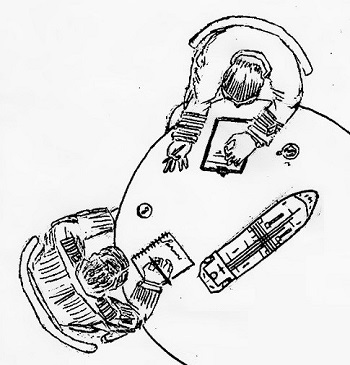 The Technical Manger fired the first salvo "How the hell did we miss this spot during the pre-docking gauging?" Me: "They gauged this bulkhead but they must’ve missed it." Operations Manager: "OK now that we have to deal with it, what’s the plan?" Superintendent: "We need to repair it." Commercial Manager: "Are you out of your f**** mind? We’ll have to rearrange the booked cargo for another ship. No way!" Technical Manager: ‘"And the additional repairs and stay in the yard will make us overshoot the drydock budget!" Chief Engineer: "Look, you got to take care of these things from the office. I don’t want the fuel leaking into the cargo holds at sea- and then we have to deal with it." Me: "And the leaked fuel could damage the cargo." Commercial Manager: (pounding his fist on his table now) "We already had so many delays with this bloody ship…and you always put me in this position where I’ve to say sorry to the shippers!" Me: "I don’t like the news either but we need a solution. We could delay for now but we may have to stop the ship again for repair few months down the line. My recommendation is we do the repairs. I’ll personally see to it that it gets done as early as possible." Chief Engineer: "Yeah. About the budget, we’ll discuss here and see if we can shift some of the docking jobs to be done by the crew. No promises but we’ll sit down and discuss." Technical Manager: “OK I’ll speak with the Director and get back to you within the hour." During this debate, there were colourful exclamations, raised voices, subtle humour and heated exchanges which I’ll save you the trouble of reading. Finally, we did get the approval to get the additional repair done. Yes, there was a price to pay for the delay, but we were assured of the safety of the cargo during the voyage. Months later when I met the Commercial Manager in the office for a briefing, he let me know that despite the tough discussion that day, he was pleased with the outcome. He also realised this when he had learnt that another ship had sprung a fuel tank leak during the voyage and had to be taken off service for repairs, causing massive disruption and embarrassment to that other company. Arguments are inevitable in today’s workplace. Whether they are productive, like the ‘drydock’ one, or destructive like the ‘fly in the soup’ case depends on how leaders steer conflict in the right heading. Firstly, is everything up for discussion? Should every decision be debated upon? Should we remain polite in a conflict, or freely express our emotions? When should you stop arguing? What if you can’t seem to come to an agreement? What if you feel the other person is personally attacking you? What if one can lose their job if they argue too much, or oppose the more powerful person in the conversations? Will I look weak if I give in? The questions that run through our minds during a conflict at work can be quite challenging. The words and tone a person uses might press one of our ‘hot’ buttons. For most people, conflict means stress, and that in turn triggers a flight, fight or freeze response. 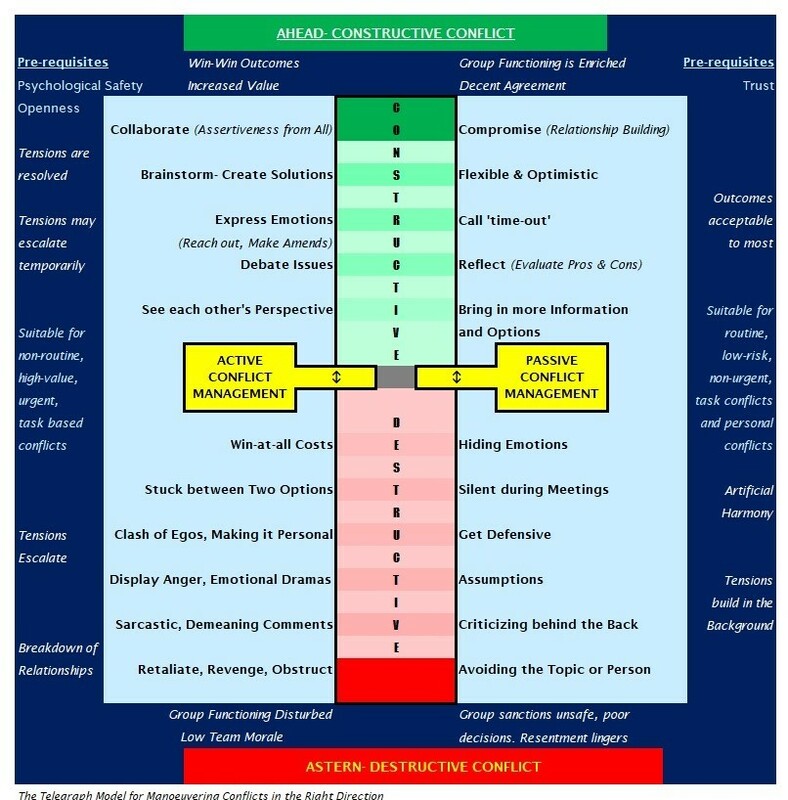 Research shows that high conflict relates to low team productivity and work satisfaction. On the other hand, task based debates help teams to understand the topic from all perspectives. Avoiding or suppressing conflict is not good either. Avoiding debate all together restricts the options available on the table, and often to unsafe or unproductive outcomes. 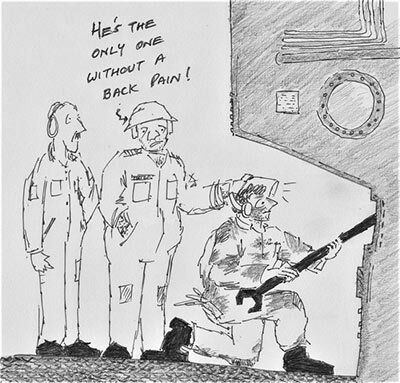 On the Bow Mariner, the Chief Officer ignored the safety concerns of his junior officers during routine tank cleaning operations. A while later, an explosion sank the ship and took the lives of twenty seamen. Unresolved conflicts lead to resentment, and poor work morale- leading to a ‘fly in the soup’ kind of outburst at some point. Just as each one of us has a unique world view based on our experiences, we are conditioned to conflict in different ways. It starts with childhood - if our parents permitted debate, or was it order and comply, or would they give the silent treatment when in disagreement. We would be further conditioned by the environment in our schools and workplaces. Peers argue differently among themselves than in a subordinate-superior debate. And of course, ‘over-thinking’ introverts argue differently from the more vocal extroverts. Whatever our background, we need skills to be able to handle and manage conflict productively as each situation demands. First and most important - the leader needs to set up the right environment for constructive, healthy debate, and even allow them to become intense, heated discussions. The right environment for this is where teams have high levels of openness and trust with each other. 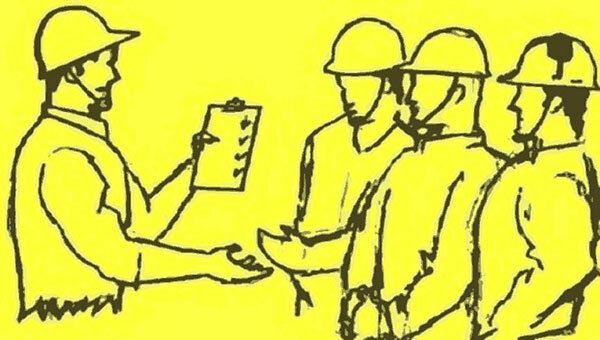 Leaders should provide team members with psychological safety; leaders should say it in very clear terms (and follow it up) that they will not be side-lined or tagged as a ‘negative person’ for their differing views. Leaders also need to reduce the power-distance effect of a superior-subordinate relationship during a debate to allow the free flow of views. Leaders need to remove the fear and stress of conflict from the workspace. What leaders must not do is incite fear to suppress conflict and to control their team members. Leaders must neither create conflict for its own sake, or promote a ‘divide and rule’ toxic environment for inducing productivity or competition. Research shows that such high conflict environments are counterproductive to the team’s goals. The next task of the leader is to control responses during a conflict- as soon as they become aware of one. They must ensure the conflict stays focused on solving the problem at hand and does not escalate into a personality clash. The leader must ensure that the tension does not escalate; here, the use of humour helps. Appoint ‘a devil’s advocate’ so they have the permission to be creative in bringing up opposing views. I also recommend that the leader gives his final opinion towards the end of the debate; going in early discourages team members from coming up with more options. The below ‘Telegraph Model for Manoeuvring Conflicts in the Right Direction’ is an aide-to-memory for leaders for facilitating healthy debates on board. Bring more information to the table and list all possible outcomes (not just two diametrically opposite choices). During a closed room debate, I find a whiteboard to be very helpful tool to help keep the team’s focus on the issues to be systematically sorted out. If you’re unable to come up with an agreement at the end of the meeting- narrow down the options and revisit the discussion. Of course, if the issue is time-sensitive, the leader must make the decision based on all the inputs gathered during the debate. Conflict situations can arrive without warning. We were once manoeuvring into a harbour with a Pilot on board. We had completed the Master-Pilot exchange and had established a good rapport with the Pilot soon after his boarding. I wish I could say that all conflicts can end with such a quick and positive outcome. I’ve also had the experience of workplace conflicts which did not end well, or were left unresolved. Once we’ve learnt from these experiences, it’s time to move on. Playing those moments repeatedly, or criticizing oneself does not help anyone. Create the right environment well in advance before conflicts start occurring at your workplace. Manage conflicts constructively using all tools both active and passive, with a fine sense of balance. If you feel the conflict is getting out of hand, seek help from an external mediator. No matter how the conflict ends, move on. This is an article I wrote for the SeaNews magazine. It's part sci-fi, part reality. The complete magazine e-copy is available at this link and my article is on page 60. There are many other interesting articles in this edition. 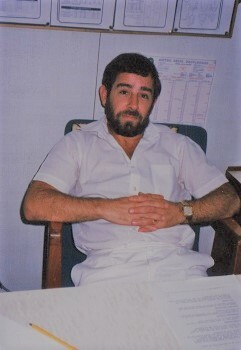 The Captain on a ship if often called the ‘Old Man’. More often, the ‘grumpy old man’. I didn’t realize it then, but now as I have sailed into my early 40’s, I excuse my own grumpiness saying that there’s a physiological explanation for it. But it’s not always about how cheerful you are. 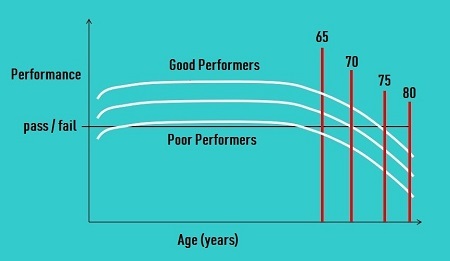 Today I want to touch on the sensitive topic of the effect of aging on job performance. We all will get old one day or the other. So, how do we lead ourselves and our teams as we grow older. Getting old has its benefits. You have more experience, you gathered a great amount of knowledge, and people respect you just for your grey hair. The volume of the brain declines with age at a rate of around 5% per decade. Neurotransmitters such as dopamine decline by around 10% per decade and this has been associated with declines in cognitive and motor performance. Memory too declines gradually. Bone density decreases by about 1% every year. Peripheral vision narrows, near vision becomes less acute, eyes no longer focus as quickly, and night vision degrades. Cardiovascular disease is the major cause of maritime service disablement. Diet, exercise, smoking and stress management abilities are the lifestyle factors that influence the chances of a coronary incident putting an end to your career at sea. Muscle strength loss above the age of 50 occurs at around 15% per decade. I can go on about each part of the body- but you get my drift. This should be taken seriously as working at sea requires keen psychomotor and cognitive skills, as well as executive functions such as monitoring inputs. What this means in terms of work is that an older navigator may miss observing the drift of the ship, or may lose track of multiple targets on the radar. The Chief Engineer’s daily inspection rounds from ‘tunnel to funnel’, especially on the modern megaships which are the equivalent of a 20-storey building, will progressively become difficult. Take for example, the grounding of the Hong Kong ferry Xin Jie with 81 passengers onboard. The cause of the incident was due to sudden onset of dizziness of the 57 year old Assistant Master when he was steering. The Assistant Master had been suffering from hypertension and was taking Nifedipine twice daily to control the blood pressure. The drug has a side effect of causing dizziness which it did when he was having the con of the ship. Or the 66 year old Master on the Maria M which ran aground on the Vanguard Shoals off Sweden. 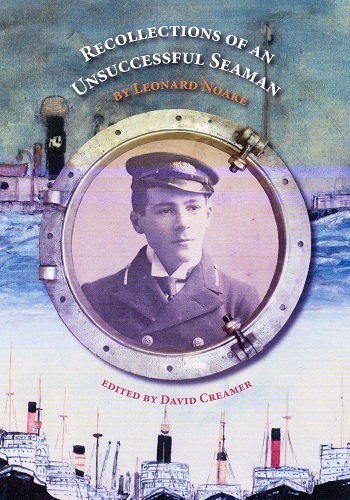 The investigaton report states that the Captain confused rudder position and turning rate and gave erratic orders which took the ship from a relatively safe position to the shallows. He was really a 'grumpy' old man who often called his bridge team 'idiots'. The International Civil Aviation Organization (ICAO) is the aviation equivalent of the International Maritime Organization (IMO) and puts the upper age limit for single-pilot commercial air transport operations at 60 years. If they have a co-pilot, they can work until the age of 65. This is based on ICAO research of on-job performance evaluated on simulators and it rates this testing mechanism as better than medical checks. For sake of comparison, the Maritime Labour Convention (MLC) and the International Convention on Standards of Training, Certification and Watchkeeping for Seafarers (STCW) adopt medical checks as the filter for service at sea, supplementing it with revalidation training every five years. Good news is research confirms that you can look and be younger than the number of birthdays you’ve had. I’ve had the privilege of working with and observing some 65+ leaders way sharper than I could ever hope to be. But no two 50-year olds are alike; how well they perform depends on the various choices they make. To be able to get the benefits of experience back into the industry for as long as possible, leaders need to be conscious of this fact and make intentional choices to their lifestyle, and staying updated with technology in the workplace. Exercise: Become a Man of Steel. De-stress: Have a Relief Valve. How are you preparing your mind and body for the evolving leader in you? And if you’re in charge of managing both young and older professionals, develop goals, expectations and evaluation methods around the different skill sets each age group brings with them. Now excuse me while I go get my fish-oil supplements for my memory. And then head to the gym. Annual health checks are recommended if you’re over 40. Dental checks every 6 months regardless of age. I recently read a P&I Club correspondent's report that customs officials in Senegal have started asking arriving ships to declare the quantity of CO2 gas on board. I would respectfully follow this requirement but for knowing that there is no relevant regulation. The only explanation offered is that the authorities are applying article 74 of the Customs Code more 'vigorously'. These sealed bottles are fitted on board as part of the fixed and portable firefighting equipment. But ships face the prospect that they could be fined for inaccurate declarations. What next? To declare the amount of steel on the ship? As usual, I lace my humour with a tinge of reality. 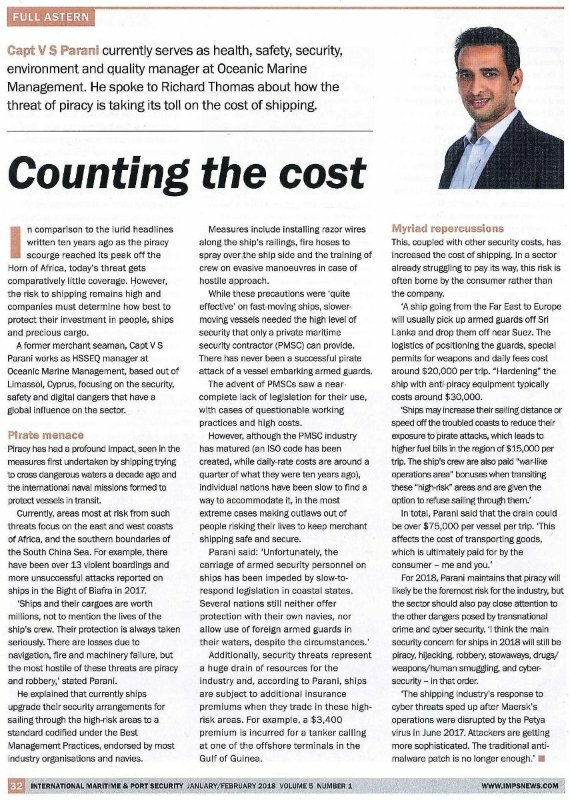 There are certain places which maritime insurers (P&I Clubs) routinely warn about, that are noted for their frivolous fines. Thing is, I see that countries issuing frivolous fines are in the bottom half of per-capita income list. Higher ranked countries are more transparent and least corrupt. Take for example, Singapore proved its intention to uphold rightful business practices in the case Public Prosecutor v Syed Mostofa Romel. This inspector was carrying out a safety inspection on the MT Torero at Vopak Terminal Banyan Jetty in Singapore. The inspector produced a list of several high-risk observations which could deny the vessel entry into the terminal. 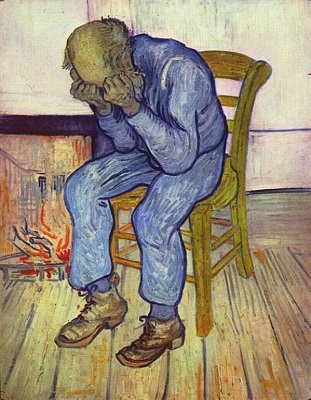 The master considered the observations as minor ones. The inspector offered to omit the findings from his report in exchange for USD 3000. The master paid the bribe but secretly informed his company. A sting operation a couple of months later, again at the same terminal, caught the inspector red-handed. Within a year, the Singaporean court sentenced him with prison time and fines. It's good to see Singapore deter corruption in both the private and public sectors through quick court proceedings and heavy sentences. It's also good to see various shipping companies team up through the Maritime Anti-Corruption Network (MACN) to fight corruption. The success stories here are growing in number. There is still some way to go: Even today, agents email the Master to keep 18 cartons of cigarettes ready on arrival to present to the authorities. Government officials need to wake up and look beyond their own pockets. Less corruption means more prosperity for the country, and the industry. Agree? Social media for seafarers is almost a lifeline- giving them the ability to connect with friends and family even from the opposite corner of the globe. It connects, informs and entertains. I certainly love seeing pictures of sunrises from the middle of the Pacific, or time-lapse videos of ships passing through canals. But like every technology, it pays to use it smartly. The rules for social media use for mariners are just about the same as for other professionals- these are more than social graces- they are practical. What you post on the internet never goes away- never ever. It is common for employers, insurers and law-enforcement agencies to check your online profile. Before you share anything, ask yourself if you would be comfortable having your family or colleagues read about it? If you’re frustrated with things happening at work or in your life- social media is not the place to vent. Besides, offensive or untrue posts can give sufficient reason for disciplinary, or even legal action. Few weeks ago, a video of a seafarer being killed by a wire under tension was shared on social media. Though this was a shocking video which can help understand the dangers at sea- such graphic images are hard for family members of the deceased seafarer to watch. In any case, it is unwise to post personal injury photos and videos as these can have serious impact on legal or claims proceedings. Ensure what you post complies with the laws of your state, or the place that you are visiting. Do not share anything which could contravene intellectual property laws (photos, movies, technical manuals for example). These days it’s quite common to see drone photography of ships appear on social media. Be aware of local regulations (and fines) for the use of drones in port. Do you put up a poster outside your house to tell everyone where you are travelling- especially when you are going to join ship for several months? If not- why do it online? Do check the privacy settings for your accounts- including the geo-tag options. When sharing pictures of friends and family, especially young children- take care. Ask your friends or colleagues if they’re OK with you sharing a photo with them online. Do change your passwords every three months and check routinely that your account has not been hacked. • The location and cargo on your ship. This information in the wrong hands could be used for targeted piracy, smuggling or theft. • Maintenance work, especially that done in dry-dock. • Demolition photos of the ship. Even if the ship was recycled in compliance with the relevant conventions, these photos could end up on newsfeeds and raise un-necessary questions. • Security arrangements on the ship or in the port. • Emergencies. While it’s good to capture evidence on camera, beware of sharing it with the external world, especially the media- it can hurt your employer’s position and reputation. Even an innocuous photo- such as of crew celebrating with non-alcoholic beer can create a negative perception. Once the images are out there, damage control is difficult. You don’t have to share everything that’s going on in your life, or all that you feel. What you like, comment, or share is watched by the world and recorded for ever. Think before you post. Do not use social media during work hours, especially if you are on watch. Period. Are you neglecting your normal relationships? That said, I’ve met some very interesting people through social media, and learned a lot in the process. I don’t even have to remember birthdays- I get prompts so I can wish my friends on their special day. With around 2.5 billion social network users worldwide, and growing- it’s a powerful tool. Use it effectively, and - stay social. 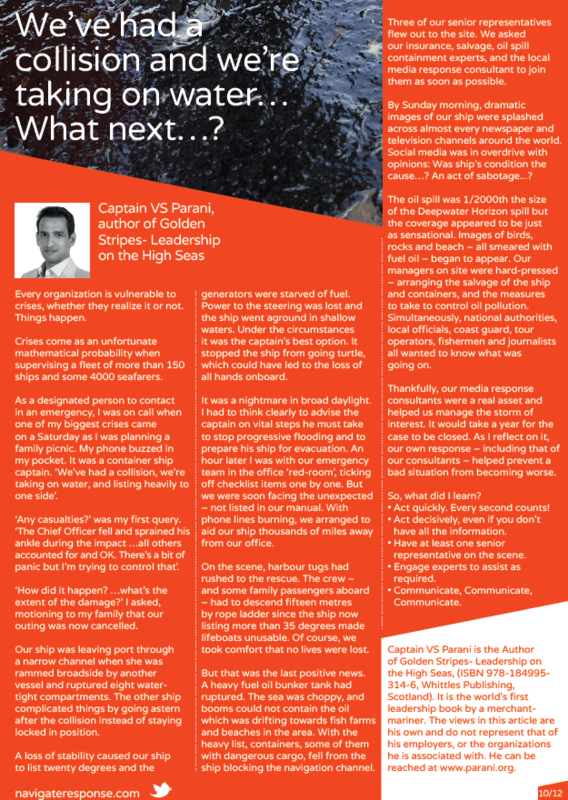 Captain VS Parani, FNI, FICS, CMarTech-IMarEST is the author of Golden Stripes- Leadership on the High Seas.